“I keep thinking about hurting my baby. If I tell anyone, they’ll think I’m a bad mother.” Thoughts like these torment new mother’s who suffer from perinatal and postpartum OCD. Perinatal and postpartum Obsessive Compulsive Disorder (OCD) is a disorder that affects between 2% and 5% of pregnant women and new mothers. Among women who suffer from OCD and have given birth, pregnancy and childbirth are frequently cited triggers for the onset of OCD. Perinatal refers to the time before and after childbirth; postpartum refers to the time period of 2 to 3 months after giving birth. Research has found that in mothers with perinatal or postpartum OCD, the obsession usually involves purposely harming the newborn infant or being responsible for accidental harm befalling the newborn. Perinatal and postpartum OCD are sometimes confused for postpartum psychosis by professionals and laypersons alike, because both disorders may involve thoughts about harming the baby. Women suffering from perinatal and postpartum OCD are afraid that they might actually act on the thoughts of harming their baby and they may feel that they are unfit mothers because of their distressing thoughts. This often leads to new mothers not telling anyone about the obsessions, as they fear being diagnosed “as crazy or dangerous”, being hospitalized, or having their baby taken from them. Because of the lack of understanding between postpartum OCD and postpartum psychosis, many women are in fact, misdiagnosed. Both psychosis and perinatal/postpartum OCD can involve violent and bizarre thoughts. However, the woman who is suffering from postpartum OCD is horrified by her thoughts and is terrified of actually committing harm to her baby. These unwanted thoughts go against the very moral fiber of her being. On the other hand, women with postpartum psychosis experience a break from reality. In her psychotic state, her thoughts are delusional and her judgment is irrational. However, these thoughts “make sense” to her and thoughts of harming the baby may be considered “a good idea”. Postpartum psychosis poses very serious risk and hospitalization is typically required. Because the woman suffering from perinatal and postpartum OCD is often reluctant or ashamed to talk about her symptoms, perinatal/postpartum OCD is often also misdiagnosed as postpartum depression, which often co-occurs with OCD typically as a result of the OCD symptoms. A recent study found that 57% of women with postpartum depression also had symptoms of perinatal/postpartum OCD. Accidentally harming the baby by exposing it to chemicals, germs, pollutants, etc. Excessive washing and sterilizing of baby’s bottles, clothing, etc. The effects of perinatal and postpartum OCD can be devastating. Depression, hopelessness, lack of self-care and suicidal thinking are common, as are problems caring for and bonding with the infant, due to fear and avoidance. Fortunately, there is help available. Postpartum OCD, like other sub-types of OCD is treatable with an empirically-validated form of Cognitive Behavioral Therapy (CBT), called Exposure and Response Prevention (ERP). With this method, mothers learn to challenge and overcome their obsessive fears and compulsive and avoidant behaviors they use to manage their fears. 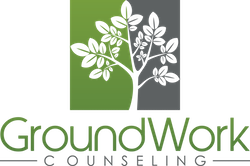 If you would like to learn more about Exposure and Response Prevention (ERP) for the treatment of perinatal and postpartum OCD, contact us at The Center for Anxiety & OCD at GroundWork Counseling in Orlando, Florida. It is important to interview your prospective therapist to find out if they are trained to do Exposure and Response Prevention (ERP), and where they received their training. Some therapists are better at treating OCD than others. Their answers to your questions will be a good guide for you. You can begin by asking them about what types of techniques they use to treat OCD. If the therapist doesn’t mention Cognitive Behavioral Therapy (CBT) or Exposure and Response Prevention (ERP), or if they are vague, use caution. When you ask about Exposure and Response Prevention (ERP) to treat OCD, be cautious of therapists who say that they use CBT but who won’t be specific. Be sure to ask about their training and background in treating OCD. A positive sign would be membership in the International OCD Foundation (IOCDF) or a member of the Association of Behavioral and Cognitive Therapists (ABCT). Look for therapists who have sought specialized training offered by the IOCDF. An example would be the IOCDF Behavior Therapy Training Institute (BTTI) and the Annual IOCDF Conference.